Whether you’re looking for help with your memory, going through menopause, or just want general wellness, we’re here to help. Through gentle chiropractic care and supplements customized to your needs, you’re giving your body so much of what it needs to heal and thrive. 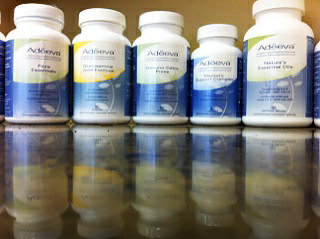 We use Adeeva products and multivitamins, which are very specific for preserving optimal health. 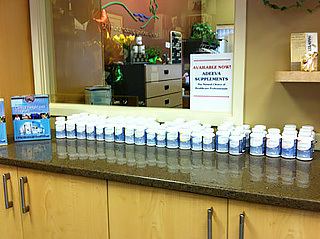 We use them because of the heart and soul behind the line of supplements. 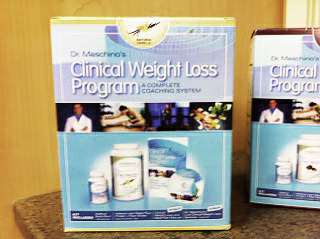 Dr. James Meschino, is the chief formulator for Adeeva Supplements. He is a chiropractor, naturopath, educator, and researcher – as well as a practitioner who works with cancer patients. His knowledge and understanding of the body as it matures is ground-breaking. He identifies the “time bombs of aging” that we all should expect and has formulated the Adeeva Supplement line to combat them. At 40, we need joint supplements and omega oils. 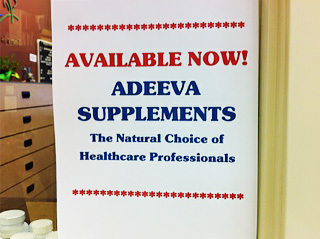 At 45, our hearts may not work as well and supplements can help support vascular health. The immune and detoxification systems require more care in our 50’s. As we grow older (age 50 and above), our memory needs a little help. Men after age 40 need to preserve the health of their prostate, Prostate 40+ for Men can help. 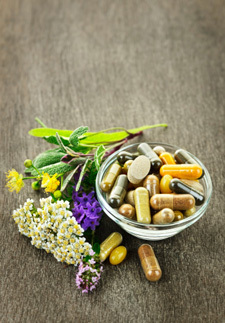 Women nearing menopause can also benefit from our supplements with improved hormonal balance.